1.5 years later, I’ve completed the program! For some reason, I kept thinking that I had started the program in 2015, but I actually started in April 2016, and have now completed it in December 2017. I guess it just felt so long; I was convinced that surely it must have been over 2 years now. 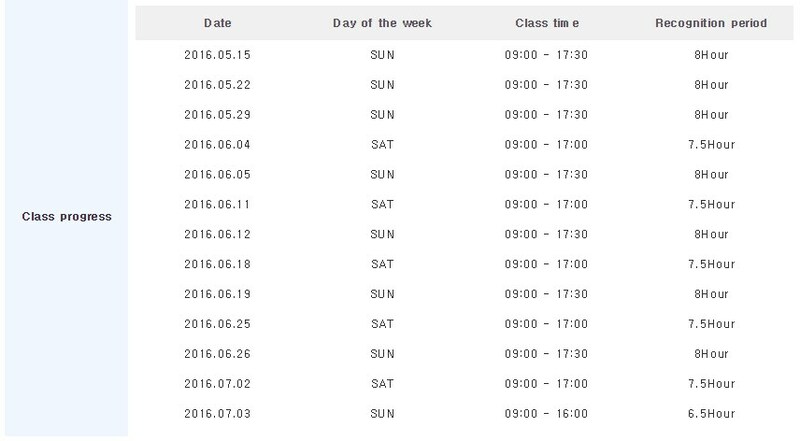 It really is quite the ordeal, spending 8 hours in class on a Sunday or Saturday … and back in Level 2, on some weekends, I did 8 hours each on Saturday AND Sunday! I’m so happy to have my 2-day weekends back. 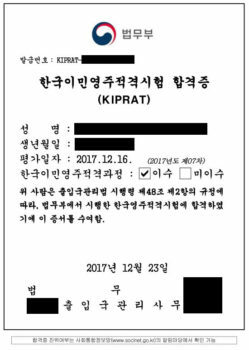 I have two certificates: KIIP (Korea Immigration and Integration Program), and KIPRAT (Korea Immigration Permanent Residency Ability??Acceptance??Aptitude? ?idk Test). 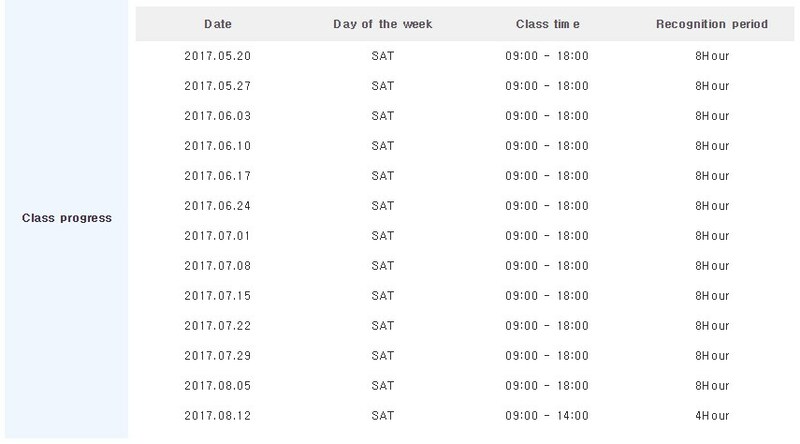 They were both issued automatically through the Socinet.go.kr website, after I passed my Level 5 (50 hours) exam. 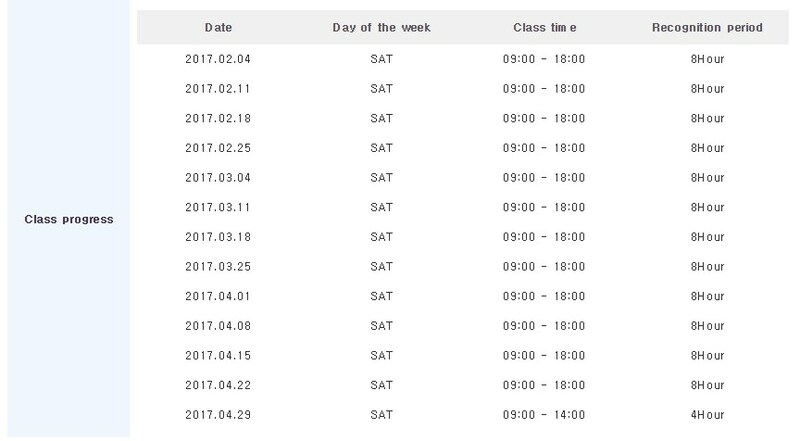 The dates on the certificates are different, because the dates will be whatever date I clicked on it print from the Socinet website. It is a massive time commitment, but it is worth it. I did it because it was the only language class I could take in my area. 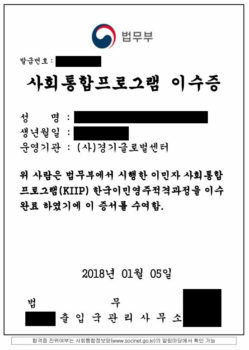 Almost everything I know in Korean, is from being taught it directly in KIIP classes, or from picking it up through casual conversations with the teachers or classmates. I’m far from fluent, and I make plenty of mistakes … but I get by just fine. Again: massive time commitment. Not everyone is up to it. But worth it.